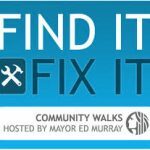 As part of participation in the Find It, Fix It Community Walk, we get to submit proposals for a $3,000 grant to do something to improve safety or appearance of our neighborhood. Proposals are accepted starting a week before the walk (which is April 25) and for two weeks afterwards. 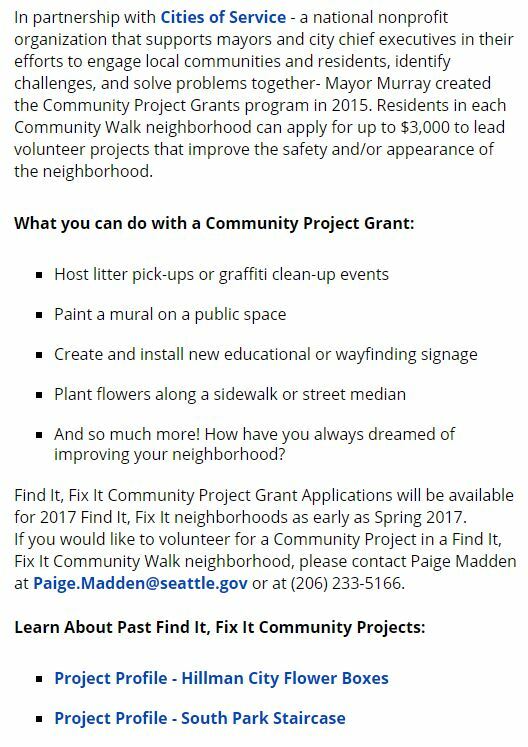 Please read the blurb below and send your ideas to info@pinehurstseattle.org, or contact the city directly as shown in the blurb.